Do you wish to spend some fun-filled time this season? Looking for adventurous ways to discover the incandescent beauty of India? Embarking on a trekking expedition in the majestic Himalayas can be the experience of a lifetime. Wondering how to revel in the enduring beauty of the snow-capped mountains? All you need to do is check out the complete trekking guide below! Taking on a trekking expedition in Sikkim can be the ultimate adrenaline rush for travellers who wish to go on adventures. Breathing in the fresh mountain air and witnessing the distant flickering light at the small hamlets can be the ideal way to relax and unwind from the chaotic city life. Passing through the secret trails to the summit can even give you the chance to witness the rich flora and fauna of this region. 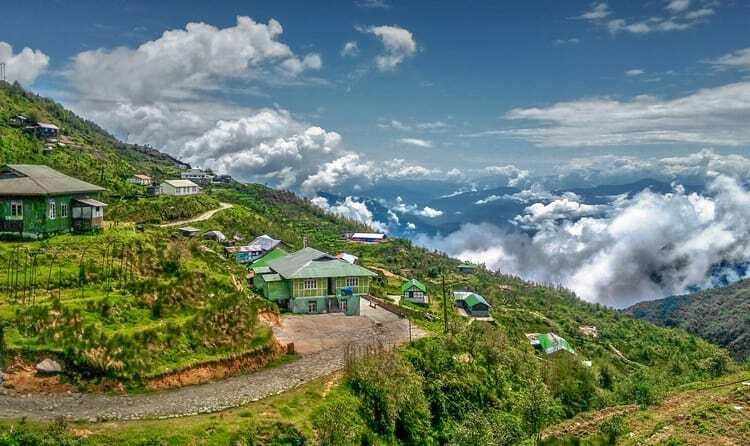 Below are a few treks you must head out for when you book a Sikkim tour package! The Sikkim Kanchenjunga trek is one of the most amazing trekking routes in Sikkim. The trail passes through the abundant forests of spruces, rhododendrons, pines and giant magnolias. The trail then merges into the mystic pastures and lush green meadows. As you trek through the route, you will reach Sikkim’s western region which is very close to Nepal’s border. It usually takes about 8 days to cover the trek. The Singalila Trek is one of the rarest spots in India from where tourists can view four summits including Makalu, Everest, Lhotse and Kangchenjunga. The thrilling trek is ideal for wildlife enthusiasts and nature lovers. Witnessing the luxuriant oak and rhododendron forests are very common on this trek. While taking on this trek, you can even visit the famous Singalila National Park. The trek even offers some breathtaking views of the snow-capped Himalayan ranges. The Goecha La Trek is one trekking expedition which you must definitely head to when you book a Sikkim tour package. Blessed with legendary chronicles and enduring natural beauty, the Goecha La Trek is a must-do trek for every adventure lover. This trek can even be ideal for wanderlust souls since the amazing trail offers trekkers the chance to explore some unknown parts of the region. While you keep moving further on the route, you will come across the splendid views of the famous Kanchenjunga. Popularly known as the paradise of trekkers, the Dzongri Trek route stretches from Yuksom and extends to Dzongri, further leading to Goecha La. Being easy in comparison to the other trekking routes in Sikkim, the Dzongri Trek offers the true joy of trekking in a short period of time. Taking this adventurous trekking expedition should definitely be included in your tour itinerary whenever you opt for Sikkim tour packages. Now that you have this list of must-do treks, what are you still thinking of? Quickly book an affordable tour package to make the most of your upcoming holidays. Time to plan an adventurous Sikkim trip!